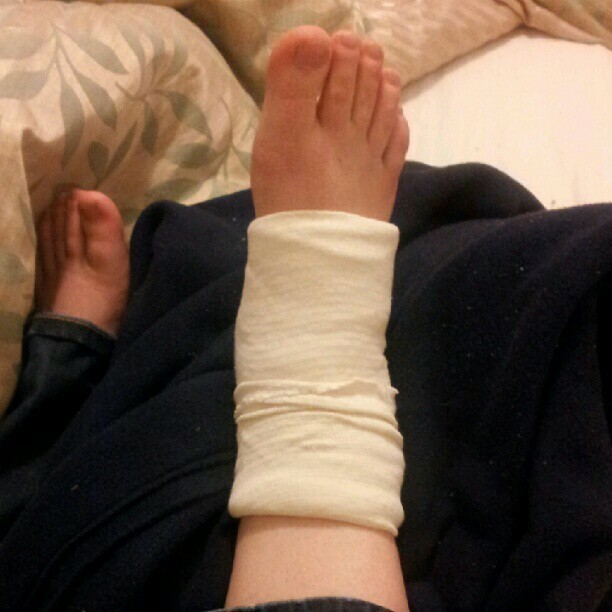 Saturday night I managed to slip and sprain my ankle badly. I am pretty accident-prone and have been in plenty of pain with sprains and strains before, but this time it really felt like my ankle had snapped. It’s now Tuesday and it is still excruciating and horribly fat. I am now dependent on others for most things. I can hop of course, but the Dr glared at me and told me I have to rest it, elevate and ice it for a week at least. - Enter loads of competitions. One Sunday I always check out Three Lil Princesses and her link up. - Read. I have a bunch of books I want to read, but ‘never get the time’. I have a week of nothing, so all the time to read. What do you do when you are sick or injured aside from watching TV? Great idea Kylie. I know I was in agony when I sprained my ankle and I'm still having issues with it now, months later. It's also a great time to clean out any old and unneeded stuff from your computer, catch up on other blogs and jot down ideas for future blog posts. Good luck and I hope it feels better soon. Thanks Peta. It's not fun, that's for sure! I have been cleaning up my computer too and scheduling blog posts. :) Thanks.